Allows you to run a specific piece of code only if a specific condition is met. Expression: The condition that evaluates if the code must be executed or not. 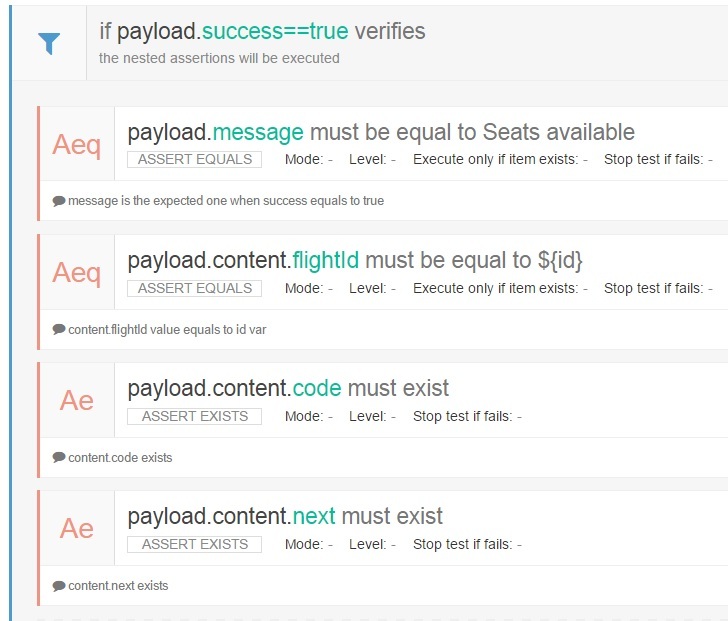 if payload.success is equal to true then the code within the element is executed, otherwise is skipped. 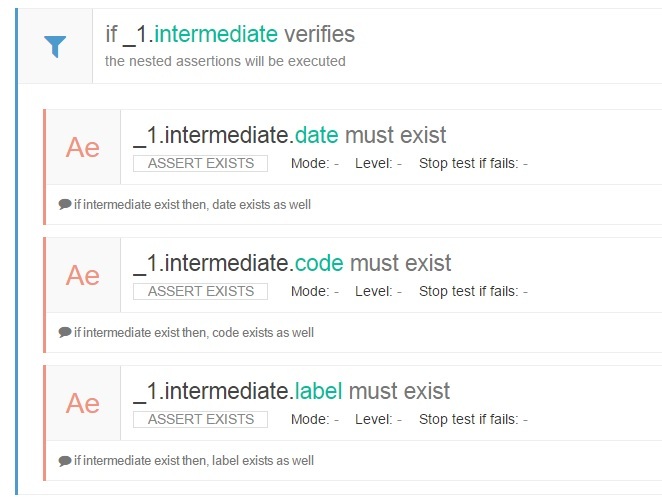 if _1.intermediate exists then the code within the element is executed, otherwise is skipped. This is useful when the element is not always present.